Buying your first home is exciting, but it can also be a bit intimidating. Many first-time home buyers are navigating unfamiliar territory. Here we’ve put together 7 tips that answer common questions first-time home buyers often ask. 1. Can I afford to buy a home in Phoenix? Phoenix consistently ranks as one of the most affordable metro areas in the U.S., despite rising new home prices—up 22 percent and likely to continue to rise. The sprawling geography of the area provides Phoenix with plenty of land to accommodate new home building, which explains why real estate prices remain affordable. New home buyers looking in the Valley need to earn approximately $46,000 annually to afford a median-priced home in the Valley. Buying a home here will also get you a great lifestyle, a relatively low cost of living, abundant work opportunities in a variety of industries, and all the sunshine and outdoor activity you can use. According to Reator.com, Phoenix is the No. 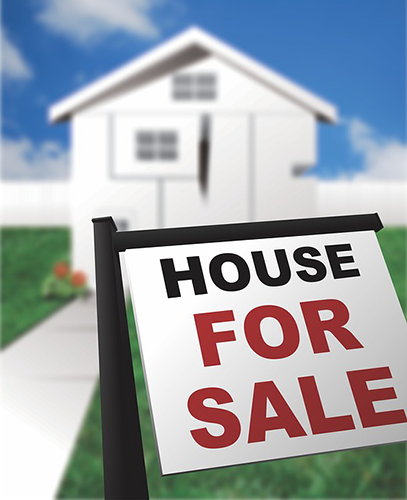 1 housing market in the U.S. this year, in spite of rising home prices! 2. I may need to rent before I buy. Are rentals in Phoenix affordable? It’s not uncommon for First-time home buyers to rent before they commit to home ownership. In fact, if you’re relocating from another state and aren’t familiar with Phoenix’s diverse communities, it’s probably a good idea to rent while you get to know the various neighborhoods and find the right one for you. As of September 2017, the average one-bedroom rental in Phoenix is $917, and $1,046 for a two-bedroom. There are plenty of rental options available in the Valley, so you should be able to find a place that suits your budget. 3. How much should I expect to have for a down payment? For a first-time home buyer, coming up with a down payment is often the greatest obstacle to buying. In Maricopa County, the median home sales price is about $247,000; a 29 percent down payment on such a home translates to almost $50,000. If that’s not working for you, don’t despair. There are FHA loans and other programs that can help you with the down payment, so you won’t have to produce the full 20 percent up front. Our team of experts at Gentry Real Estate Group BuyLowAZteam can provide resources to help you ease that burden. 4. Is the Trump administration helping first-time home buyers? Unfortunately, President Trump began creating obstacles for first-time home buyers shortly after taking office by reversing one of the last acts of the outgoing Obama administration, which had established a mortgage fee cut under a government program popular with first-time home buyers. The fee cut would have reduced mortgage payments by hundreds of dollars annually. The Trump administration’s reversal of the mortgage fee reduction led to the Department of Housing and Urban Development canceling the reduction announced just days prior while President Obama was still in office. The Federal Housing Administration had planned to cut its annual fee for most borrowers by a quarter of a percentage point to 0.60 percent, effective on Jan. 27. President Trump’s decision to reverse cuts in the FHA annual insurance premium means more expensive borrowing costs for home buyers and more expensive labor costs for homebuilders. New home buyers have adjusted by modifying their mortgage decisions based on what they can qualify for, what they can afford, their risk tolerance, and market dynamics at the higher percentage rate. The good news is, Phoenix is one of the most affordable metro housing markets in the country, which gives first-time home buyers here an advantage. 5. Should I consider condos in addition to single-family houses? Condos are a great option for first-time home buyers, depending on your lifestyle and personal preferences. Phoenix area condo sales skyrocketed since 2016, as a steady stream of downsizing Baby Boomers retire to the Copper State. A large number of busy millennials have also opted to purchase condos in Phoenix in order to be close to work or in the neighborhood that feels most compatible to their lifestyle. Condo prices throughout the Valley are up 17 percent in 2017, almost tripling since 2016. Condos are also gaining popularity among developers, and the trend is expected to continue into 2018. It can’t hurt to consider a condo as a first home. You may be surprised at all the features and benefits condo living has to offer, especially if you find one in your dream neighborhood. Our team of experts can help you discover all the options you want to consider that suit your needs. 6, What the property tax rate in Maricopa County? While property taxes in the County are up 6.6 percent this year, there’s no reason to panic. At 0.72 percent, Maricopa’s property tax rate is still lower than the average. Compared it to the median tax rates in counties in California (0.74 percent); Virginia (0.74 percent); Georgia (0.83 percent); Nevada (0.84 percent); Florida (0.97 percent); New York (1.23 percent); Illinois (1.73 percent), and Texas (1.81 percent), Maricopa County residents pay lower than average property taxes. 7. Is Phoenix a good destination for veterans? Phoenix attracts large numbers of veterans for many reasons. Veterans here enjoy affordable housing and down payment assistance, veteran’s services including health care programs, continuing education, skills training, and employment opportunities. Located nearby is Luke Airforce Base, Sky Harbor National Guard Base, the Phoenix Vet Center, the Phoenix VA Health Care System, and the West Valley Vet Center. A steady stream of veterans is moving to the Phoenix area, buying homes, enjoying the sunshine and jaw-dropping landscape, and the host of activities both indoors and outdoors that keep them as active as they want to be. Veterans also qualify for Veteran’s administration guaranteed mortgages, which have low-interest rates and no-down-payment requirement. Armed with these tips that answer some of the most common questions we’re asked by first-time home buyers, we hope you feel better prepared to begin house hunting. If we missed any questions you’d like to ask, please leave a comment here and we’ll respond promptly. If you’re interested in further information about Gentry Real Estate Group BuyLowAZteam’s services, complete access to our website or to place bids on trustee auction properties, contact Spencer Caldwell at 480-283-4425 or Jacob Ash 480-437-4835, or sign up and one of our representatives will qualify you.